Hallamshire again had a great turn out in the Sheffield Indoor Festival of Athletics, across all the events in each age group. In the 60m, Joseph Jefferies (SenM) came first in his race with a time of 8:08. For the Under 20 Women, Jessica Smith won her race in 8:37, Helena Felle came 3rd in her race in a time of 8:96 and Charlotte Mather finished 4th in her race in a time of 8:99. For the Under 20 Men, Keenan Smith again had a good run finishing 2nd, being the youngest in his race and only just missing out on first place in a time of 7:47. For the Under 17 Women, Gabby Craft finished 6th in her race in 8:30, Alicia Littlejohn came 5th in her race running a seasons best in 8:71. Millie Glossop also ran a personal best finishing 6th in a time of 9:51. The Under 17 Men also kept up the great performances, with Morgan Francis-Lewis winning his race with a personal best of 7:56, Ben Kelly finished 3rd in the same race as Morgan in a time of 7:68. Ryan Selman also produced a personal best finishing 6th in 8:46. In the Under 15 Girls, Acacia Williams-Hewitt got them off to a good start by winning her race and getting a personal best with 8:30. Lucy Revitt came 2nd behind Acacia with a seasons best on 8:39. Freya Sedgewick came 5th in her race in 8:96 and Lauren Foletti finished 3rd in her race in 9:08. 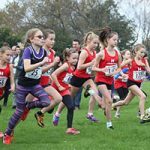 In the Under 13s, Aimee Asaba finished 5th in 9:41 and Isobel Tupholme came 6th in 9:75. For the Boys, Nathanial Dyas came 1st in his race in a time of 9:18, Sam Kelly came 2nd in 9:48 and Luke Baxter came 4th in 9:70. In the 200m, Charlotte Mather finished 2nd in her race with a seasons best of 30:39 and Helena Felle came 4th also with a seasons best of 31:43. For the Under 20 men, Keenen Smith came 5th in his race with a time of 24:25. 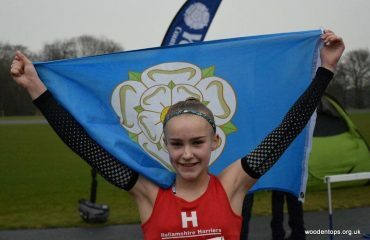 Harriet Simpson got the Under 17s off to a good start, finishing 1st with a personal best of 27:62. Ayman El-Amrani finished 2nd also with a personal best of 24:49 and Morgan Francis-Lewis came 6th in his race with a seasons best of 24:65. Ryan Selman finished 3rd in 27:55 which is also another personal best. In the Under 15 girls, Acacia Williams-Hewitt got a personal best coming 1st in 26:43. Lucy Revitt finished 4th with a seasons best of 27:02, Elle Koziupa also got a personal best coming 2nd with a time of 28:30 and Freya Sedgewick finished 3rd in 30:04. Some good performances from the Under 13s aswell, with Erin Lobley coming 2nd with a personal best of 28:55, Aimee Asaba finished 5th in 30:69 and Isobel Tupholme came 3rd with a personal best of 32:04. Nathaniel Dyas came 2nd in 29:79, Dulcie Bristow (U11G) came 1st in 32:02 and Cosmo Johnson (U11B) finished 1st in 31:44, both running personal bests. In the 400m, Stephan Fleming finished 3rd with a personal best of 62:67. In the 800m, Joseph Hutchesson finished 6th in 2:06:78, Tilly Simpson came 1st in 2:08:68 and Leo Cossham finished 1st with a personal best of 2:13:67. Stephan Fleming finished 4th also with a personal best of 2:29:91. Alex Durant came 2nd in 2:26:44. Ruby Simpson finished 2nd in her race with a personal best of 2:29:46, Emma Shipley and Claudia Turnell also ran a personal bests coming 3rd and 4th in 2:33:91 and 2:40:96. Summer Ludlam finished 5th with a seasons best of 2:45:13, Megan Weaver came 6th with a personal best of 2:49:89. Luke Baxter came 4th in his race also with PB of 2:49:59, Kiera Eales-Smith finished 2nd with a seasons best of 2:46:49. Bobbie Waugh came 5th in 3:02:15, Maddie Cundy finished 6th with a PB of 3:03:87 and Cosmo Johnson came 1st with a PB of 2:41:22. In the 1500m, Tom Bains ran a seasons best finishing 3rd in 4:03:78 and Morgan Grayson (U13B) finished 2nd with a PB of 5:44:98. Oscar Bryce (U20M) had a seasons best in the Long Jump coming 3rd with 5.36m. Ryan Selman (U17M) came 2nd with a PB of 4.63m, Lucy Revitt (U15G) came 2nd with 4.54m and Nicole Hague came 5th with a PB of 4.48m. Erin Lobley came 3rd with a jump of 4.21m, Aimee Asaba came 7th with a PB of 3.97m and Isobel Tupholme came 17th with 3.25m. Cosmo Johnson came 1st with a jump of 3.35m. In the High Jump, Thomas Hughes (U20M) jumped 1.85m, Ayman El-Amrani (U17M) came 2nd with a seasons best of 1.80m and Jack Holland (U17M) came 3rd with a PB of 1.65m. Leo Cossham (U17M) came 4th also with a PB with a Jump of 1.55m and Erin Lobley came 3rd with a PB of 1.30m. Thomas Hughes came 3rd in the Shot Putt with a PB of 8.35m. Alicia Littlejohn (U17W) came 7th with a seasons best of 7.41m, Harriet Simpson came 8th with a PB of 6.39m and Millie Glossop came 9th also with a seasons best of 5.75m. Acacia Williams-Hewitt came 3rd with a throw of 8.36m and Nicole Hague came 8th with 7.37m.